Zadar, medieval town in the centre of Dalmatian Coast, is one of the most visited tourist destinations in Croatia in recent years. No surprise, since it has a lot to offer, from beautiful architecture, lovely beaches with clear sea to cool bars, cafes and restaurants. Lonely Planet, one of the world’s most famous travel guides, agrees and has named Zadar as one of the top 10 cities to visit in 2019. Many tourists are not aware of astonishing natural beauties located just a short ride from Zadar. So we created a list of five day trips from Zadar every tourist should experience. 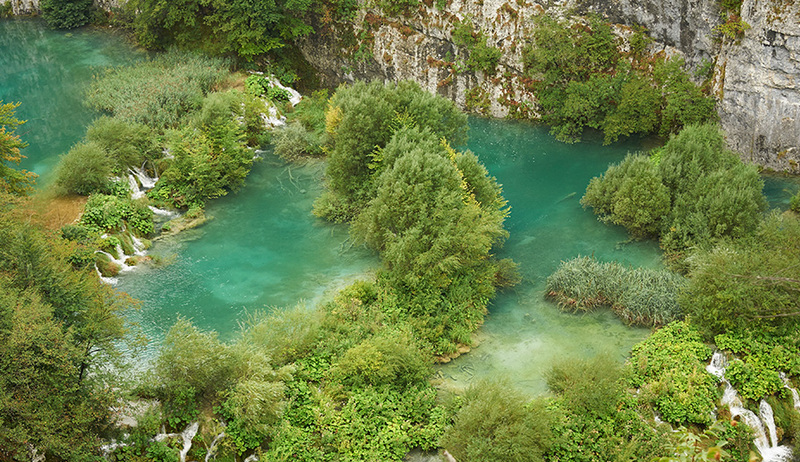 One of the oldest and largest national parks in Croatia, Plitvice Lakes, should be on every persons “must-visit list”. Plitvice Lakes consists of sixteen lakes connected by a series of waterfalls which you can explore by foot and by boat. Plitvice Lakes National Park was founded in 1949 and in 1979 was added to the UNESCO World Heritage register. Plitvice Lakes are located just 133 km from Zadar (2 hour drive) and the best way to experience Plitvice is to book a day trip with a private guide. 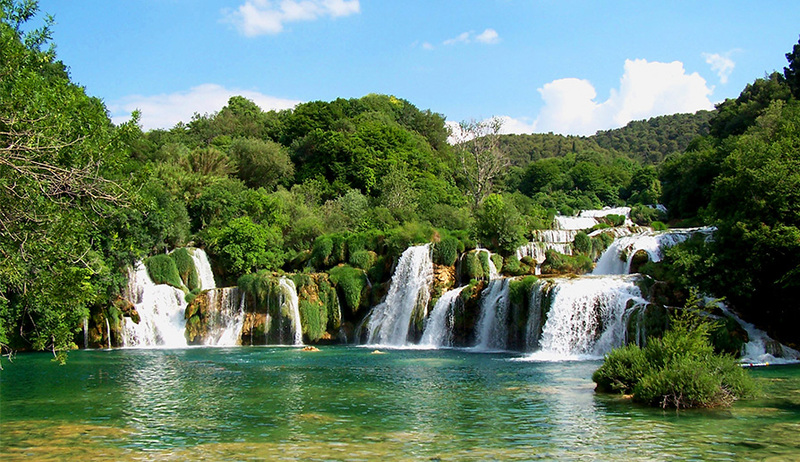 The second most visited national park in Croatia, right behind the Plitvice Lakes, is Krka Waterfalls National Park. Astonishing waterfall Skradinski Buk and Visovac island with The Franciscan Monastery and the Visovac Church, stand out as one of the best known natural and cultural beauties of Croatia. Krka Waterfalls are even closer to Zadar than Plitvice, just a hour drive away (around 80 km). You can book your Krka Waterfalls day trip online with Romeo and Juliet Travel Agency and enjoy the wonderful Croatia from within. The Kornati Islands are the densest archipelago in the Mediterranean Sea with a unique cluster of 150 islands, islets and cliffs spread over the central part of the Adriatic Sea. Kornati Islands are described as a “nautical paradise”, with a combination of beautiful islands with number of coves, crystal clear sea and untouched nature. 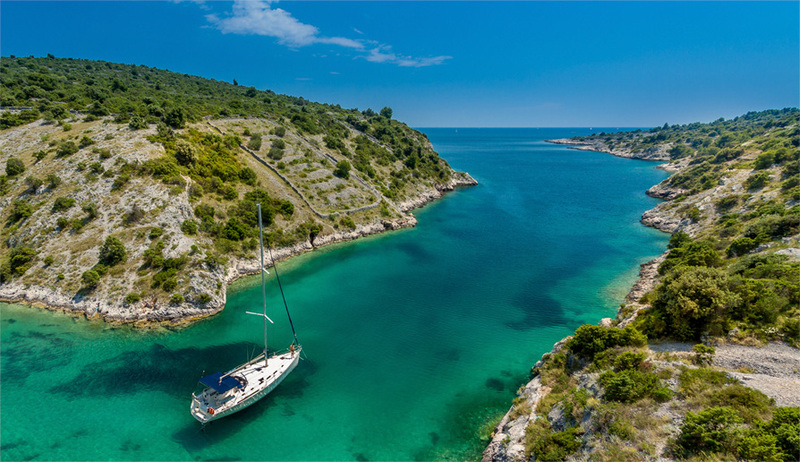 Book a day trip ti Kornati Islands with Romeo & Juliet travel agency from Zadar – our yacht will lead you to experience intimately islands, sea and salt lake, and to enjoy swimming, walking and sightseeing. 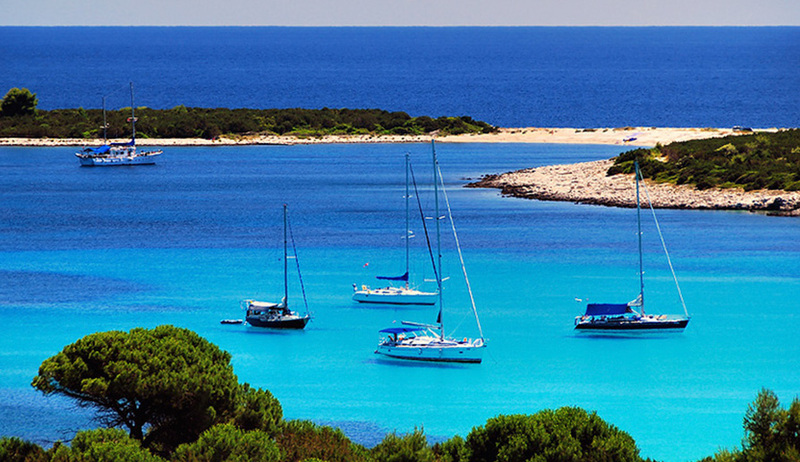 Sakarun Beach, located on Dugi Otok island near Zadar, is one of the most beautiful beaches in Adriatic. This beautiful sand beach with turquoise water is 800 m long, and the whole bay is shallow, making it ideal place for children. Book a day trip to this beautiful “Caribbean” beach from Zadar with Romeo and Juliet Travel Agency. Croatia has a total of 8 national parks and Paklenica is another you can easily visit while you are in Zadar area. With just around 50km far from Zadar you can get to this nature wonder in less than an hour. 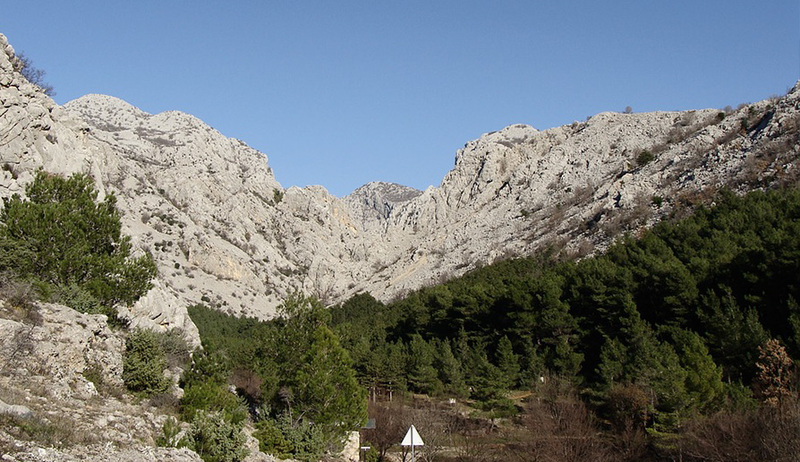 Paklenica is mostly visited by climbing enthusiasts and is known as a hiker’s paradise. If you enjoy long walks, hiking, clymbing or cycling, book a day trip to Paklenica with Romeo & Juliet Travel Agency.